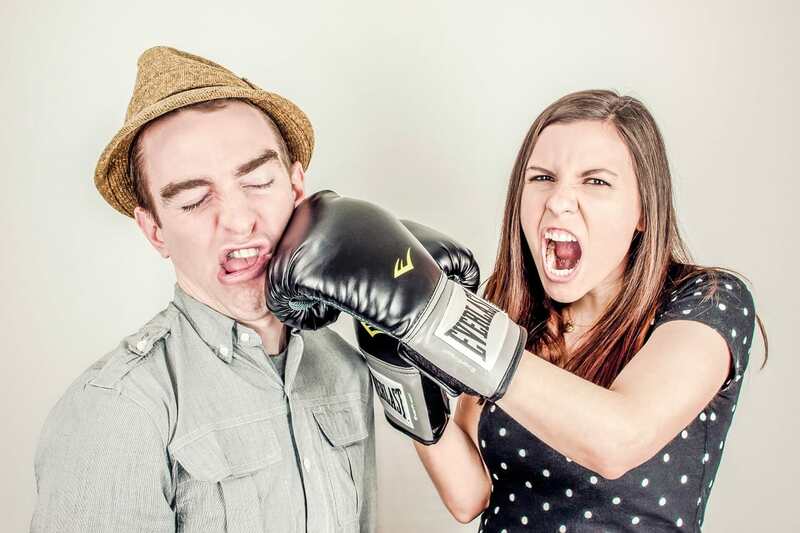 A new study has indicated that marital conflict has more detrimental effects on the health of men than for women in a relationship. Women are often portrayed in the media as sensitive, emotional beings who cry at the drop of a hat in an argument, or who whimper in the corner during a fight. Reiterating their 'weakness' has only served to pump more air into the already inflated male ego. Well, according to the Daily Mail, a new study has discovered that men are more vulnerable to marital conflict than women are. This new study puts a pin in the ego balloon and joins the growing number of studies that indicate that women are the more resilient gender by revealing that women are unlikely to feel the effects of disagreements with their partners on a scale that men do. Don't get us wrong, severe conflict in a relationship can have long-lasting damage on a person's mental and physical health, and women often bear the brunt of violence in a variety of forms at the hands of their partners, which is quite damaging and scarring. This study focuses instead on disagreements between partners in a marriage and the effect that years of disagreeing have on the physical health of each spouse. The study conducted over 16 years by researchers in the US, it discovered that men tend to suffer more. When couples have tiffs over money matters, how to raise their children, and even how to deal with the in-laws, this elevates stress hormone levels, which leads men to experience difficulty sleeping, headaches, and on average poorer health than women. According to the lead author of the study, Rosie Shrout from the University of Nevada, "A sense of belonging, feelings of trust, and feeling like your partner understands you are so important in relationships. Some studies also show when people disagree, and a partner is hostile, negative and withdraws from a relationship, this causes stress which can affect the immune system and can be harmful for cardiovascular health." The researchers who hailed from the universities of Nevada and Michigan followed 373 married couples over the course of their marriage and asked them to respond to questionnaires in the first, third, seventh, and sixteenth years of their marriage. Both men and women were asked if they had disagreed over one of six areas of conflict in the previous year: children, religion, money, how they got on with their own families, their relationship with their in-laws, and how they spent their leisure time. They were also asked to report on their health: if they were healthy enough to do what they wanted, if their work was affected by their health, if they sometimes felt anxious or fidgety, if they experienced recurring headaches, or if they had difficulty sleeping. Each individual was given a score for their health out of five, with a higher score indicating a healthier state. Couples with low levels of conflict reported an average score of 4.07 from the onset of their marriage, indicating general healthiness. Couples with high levels of conflict were shown to be unhealthier from the beginning, reporting an average score of 3.86. However, 16 years into the marriage, the difference in health between the two kinds of couples was not statistically significant. The results seemed to be entirely driven by the male responders in the study, as female responders seemed to have suffered little to no effect on their health and well-being even if they had frequent disagreements with their partners. Husbands who disagreed on fewer topics had better health than husbands who disagreed on numerous topics. 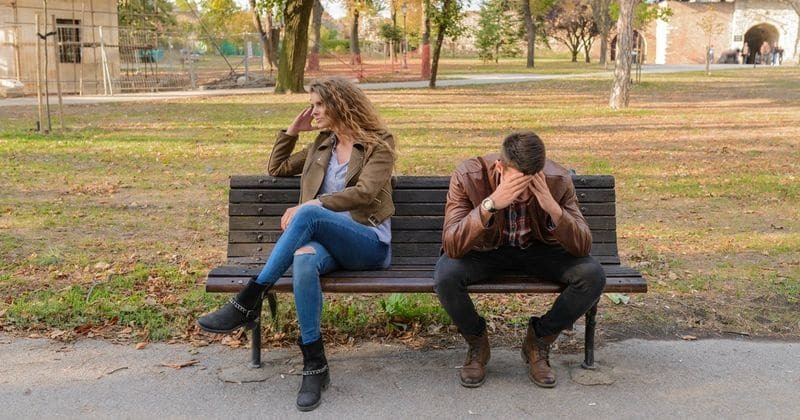 The results of the study were presented at the annual conference of the International Association for Relationship Research in Colorado, but they also revealed that the health benefits of disagreeing less at the onset of marriage diminished as the years went by.